Dr. Crystal M. Consonery is a Certified Faith Based Clinical Counselor, Author, Life Coach and Speaker with over 25 years of Counseling and Training & Development experience. She holds a PhD in Biblical Counseling as well as certifications in Neuro-psychological Immunology, Stress Management and Psychology and Crisis Response. In her work as a Faith-Based Clinical Counselor, Dr. Crystal specializes in Marriage & Family, Depression & Anxiety and Issues of Self-Esteem and Self-Worth. Her primary goal is to ensure her clients reach their optimal healing through mental, emotional, spiritual and physical care. 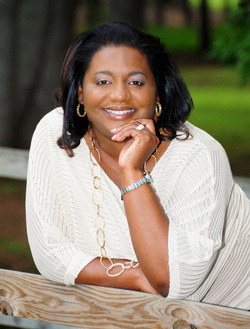 Founder of Kaleidoscope Outreach, a non-profit organization dedicated to providing life skills training services to individuals who due to a lack of resources go without the help they need, she is the Host of Coffee with Crystal on Blog Talk Radio, the author of the 30-day Women’s Devotional A Transcending Peace and the Devotional Book From Mommy with Love. A native of Donaldsonville, LA Dr. Crystal currently resides in a suburb of Metro-Atlanta with her husband and two children.